Welcome to PartnerOn with Ingram Micro! We are very excited to offer you a new marketing program to support and accelerate your business. 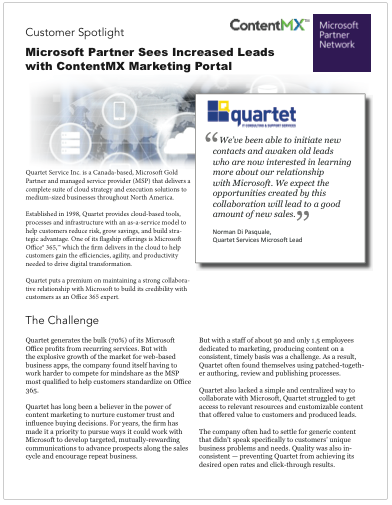 Ingram Micro has built this program in collaboration with ContentMX. ContentMX has worked closely with partners in the channel for almost 20 years. Or, email support@contentmx.com and we can re-send your temporary password. View these Working with Odo videos to learn how to make Odo a part of your weekly marketing.